Choose how many walls you would like? Choose weather you would like weighted bases. Weighted Bases are useful when you are on hard ground outdoors. 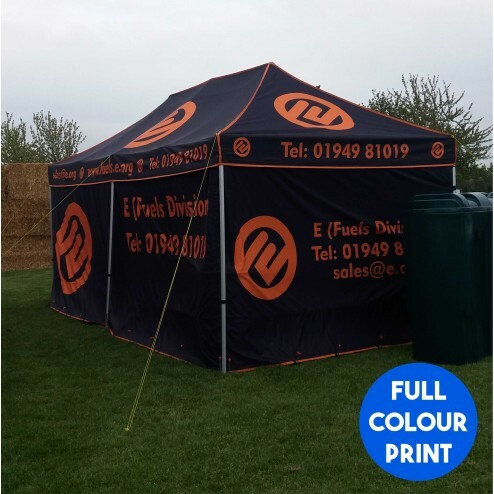 Our tough Polyester Printed Gazebos are ready for use all year round (with the exception of; during gale force winds and snow storms) and are the perfect dual purpose tool for both trading and creating a hub for people to gather at. 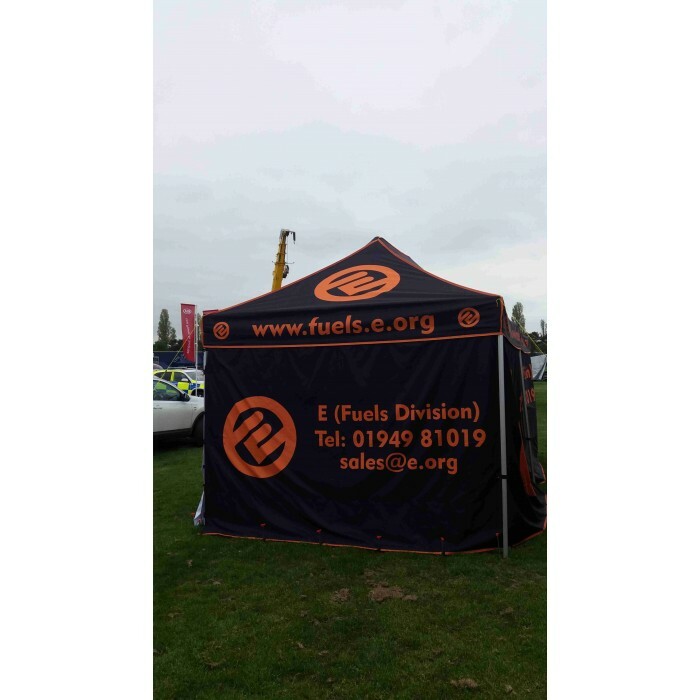 The aluminium frame with its roof braces and carefully designed angle has been created to withstand harsh weather and the PU coating means that your Printed Gazebo is both fire resistant and extra durable. 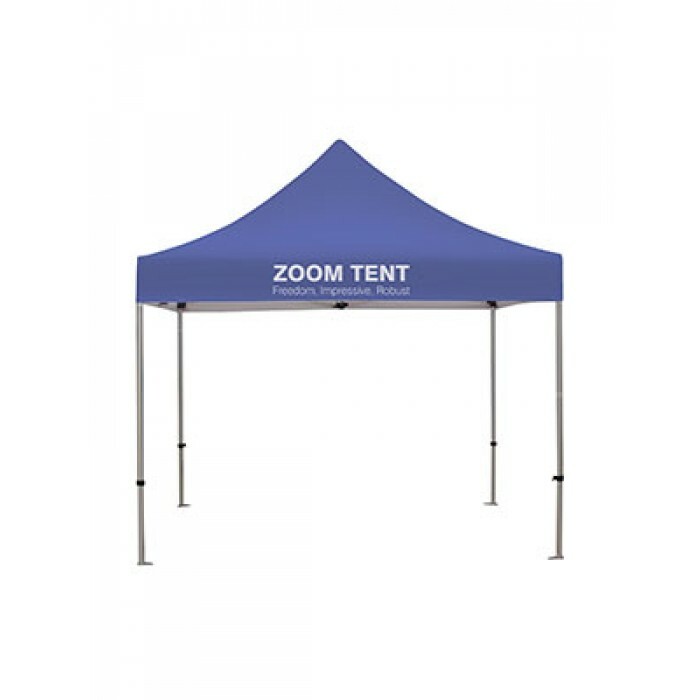 These Printed Gazebos are also easy to transport and store in its handy carry bag. 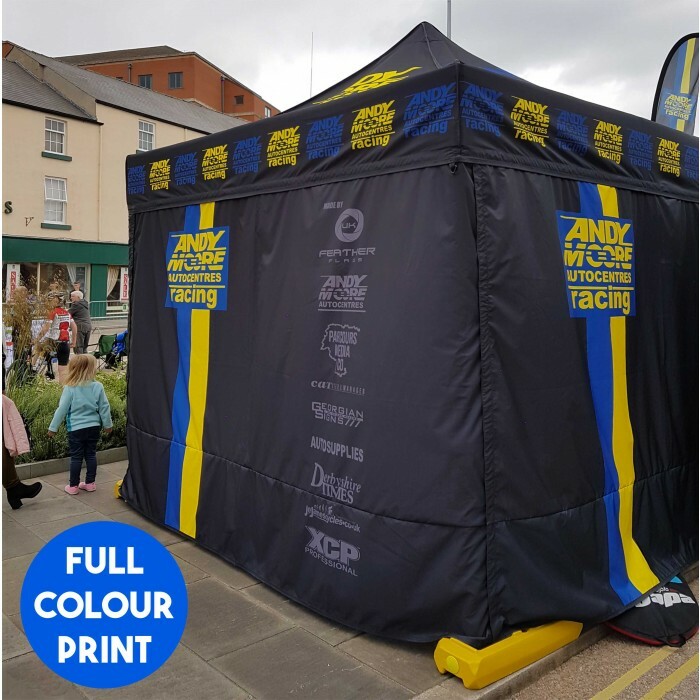 When you order your Printed gazebo, which is UV Protected and incredibly simple to erect, you will also have the opportunity to add side walls; these side walls are printable, just like the rest of the gazebo and we use the same colour protected dye sublimation technology, whether you want full colour photos, text, logos or graphics. 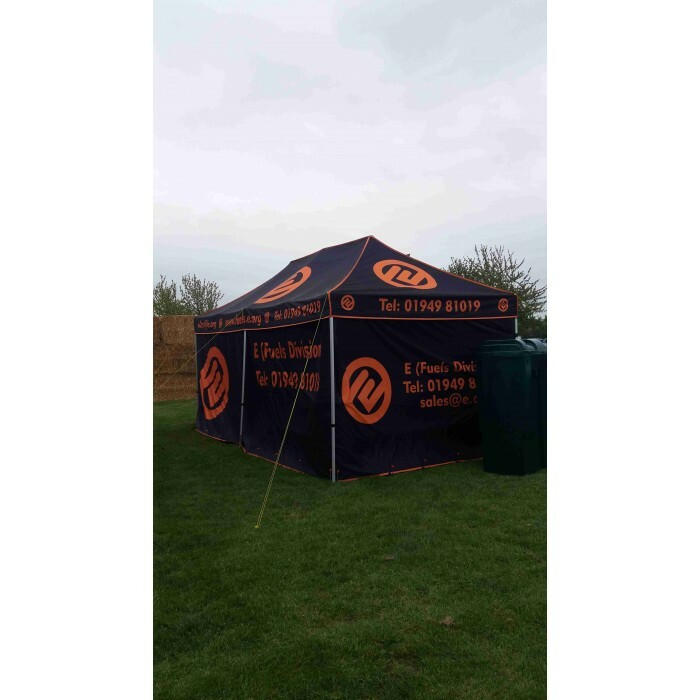 As soon as you have decided upon the perfect style and design for your Printed Gazebo you are ready to contact one of our team here at UK Feather Flags. 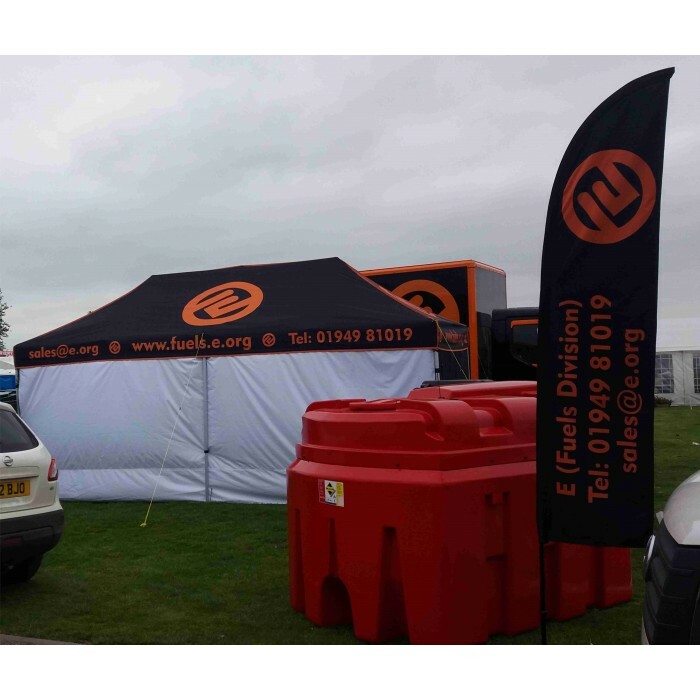 Don’t forget that we have an incredible design team who can assist you with your artwork, we have an array of delivery options to suit you even if you are short of time and there is always one of our professional printers waiting at the end of the line to answer any questions that you may have.